We’ave wall mural. Photo by Merri Schwartz, courtesy of Dan Snaith. Article originally published December 20, 2013 by The Grid online (thegridto.com). 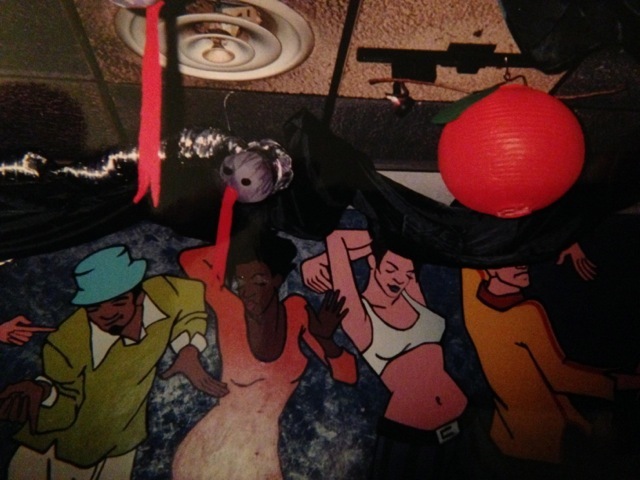 In the late 1990s, this quirky three-storey Dundas West venue provided a homebase for emergent female DJs and was a hotbed for techno, drum ‘n’ bass and all kinds of experimentation. It also helped launch the careers of Caribou, Peaches, and future Azari & III member Christian Newhook. Club: We’ave, 330 Dundas St. W.
History: There is a row of heritage properties along Dundas West, between McCaul and Beverley Streets and directly opposite the Art Gallery of Ontario, that tend to catch the eye. Built in the late 19th century as homes, the properties at 312–356 Dundas West gained heritage status in 1973, and now host a mix of galleries, cafés, and other businesses. The building at number 330 stands out for its shape, colour, and newness. An infill property that sits snugly between number 326 (the Howard Bryant House) and 334 (the Richard Chadd House), 330 is the relatively modern two-and-a-half-storey commercial building that replaced one of the original detached houses. It’s a quirky build, but not entirely out of place with OCAD University right around the corner. The address opened as We’ave, an arts and music complex, in March of 1997. 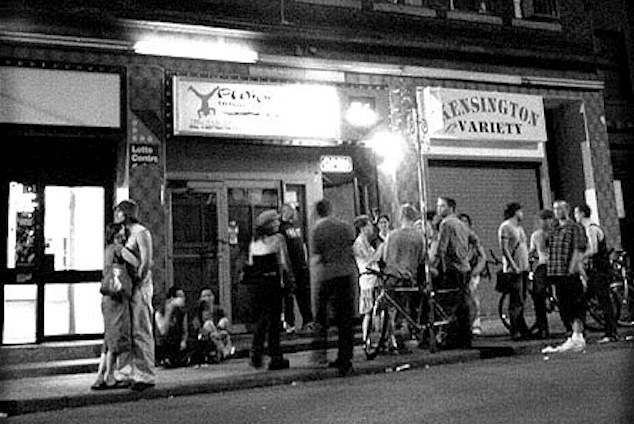 Its original general manager, Sherri Ranger, had envisioned the venue as an artists’ co-op. “We’ave stood for ‘We Have,’ which was Sherri’s concept,” explains musician and DJ Barbi Castelvi, hired in April ’97 as its live-music booker and publicist.